We’ve read about it in books, seen it in movies, and even witnessed (or lived) it in real life: the “mid-life crisis.” A person in a seemingly wonderful marriage is just not happy with where his or her life is headed and ends up having an affair. The result of a mid-life crisis can be divorce. Affairs can happen in any love relationship and after any amount time together. When agreements that a couple makes —like monogamy—are broken, it usually means that the relationship connection was already weak or maybe even nonexistent. Can an affair be headed off before it happens? It is not possible for you to make a choice for another person, even if it’s the one you love. 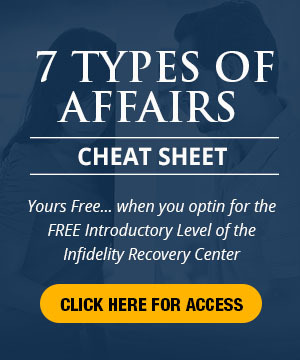 There are steps you can follow to prevent an affair from happening in your relationship. What it all comes down to is this: Keep your relationship loving, connected and passionate—and if there’s been affair and the two of you are trying to get back together, focus on what will add life to your relationship. In the movie, “Shall We Dance?” the main character experiences what can be called a “mid-life crisis” and faces the choice to have an affair. John, the main character, appears to be living the American Dream. He has a wonderful wife and kids, great job, and a house with all the trimmings. At the same time, he realizes that he just isn’t happy. We see him go through the motions in his day at work then ride the train home to his family all in the midst of a “full” life. Then, while riding the train home one night, he sees a beautiful woman in the window of a ballroom dancing studio. Despite hesitations, he follows his desire to go see the woman. This begins John’s awakening and path to happiness. The big surprise in the movie is this: his new-found happiness does NOT come from having an affair. While wanting to meet and potentially have some sort of relationship with the woman is what initiated John’s going to the dance studio, he does not choose to have an affair and he still experiences wonderful life changes. We won’t tell you everything about John’s journey, but we will say that the passion for life that John finds ends up making his marriage more connected! 1.) Discover what makes you feel alive. Ballroom dancing may not be your thing. If you don’t know what it is that makes you feel excited and fully alive, then we encourage you to find out! Explore and have fun doing it. This activity may or may not be something that your love also likes to do. It doesn’t matter. When you are able to bring a fuller sense of love and joy to your partner, your relationship will be richer. It may not be just one hobby or even career that makes your heart sing. Perhaps it is walking in the woods, boating, rocking out to your favorite music of something completely different…. It could be a variety of activities that enhance your happiness and bring up a sense of excitement for you. Make it your intention to do one thing each day that brings you sheer joy! John, from “Shall We Dance,” takes many steps to try to hide his growing love for ballroom dancing from others. Understandably, his secrecy contributes to hurt and suspicious feelings—especially for his wife. As viewers, we wanted to call out to John: “Share this with your wife!” John’s embarrassment, as he explains late in the movie, feeling so excited about dancing fuels his need for secrecy. Whatever it is that makes you feel fully alive, make the leap and share it with your love. He or she just might surprise you and be willing to explore the same activity with you. When it comes down to it, it really doesn’t matter whether your partner shares the same passions that you do. That sense of joy and excitement is what will help you stay connected and close. Your love may not be into Broadway musicals the way you are and you may not enjoy watching NFL football the way he or she does. You can share with each other the joy you get from your individual interests. Sharing and listening to one another’s joyfulness will help energize and inspire your love connection. The key here is sharing those alive feelings. If you shut your love away from yourself when you feel at your best (doing what makes your heart sing), intimacy also shuts down and your connection is compromised. We cannot guarantee that your marriage will always flow smoothly. 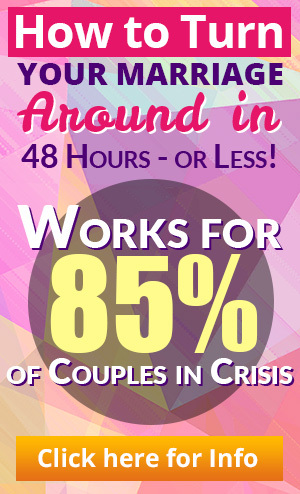 However, by trying out these hints, you will be on a path toward more passion and more connection in your love relationship. Take a risk and let yourself experience feeling fully alive (whatever that looks like for you). Then take another risk and share what you find out with your partner. Allow those great feelings to infuse your relationship and enjoy!